"About three things I was absolutely positive. First, Edward was a vampire. Second, there was a part of him - and I didnt know how dominant that part might be - that thirsted for my blood. And third, I was unconditionally and irrevocably in love with him." 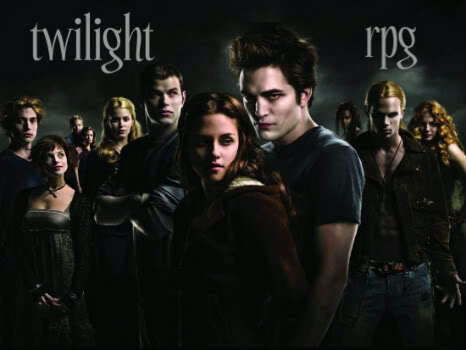 A role playing site for the Twilight saga of books written by Stephenie Meyer, as well as the movies being created from them. Interact as or with your favorite characters. Delve into the world of Twilight. Join today!